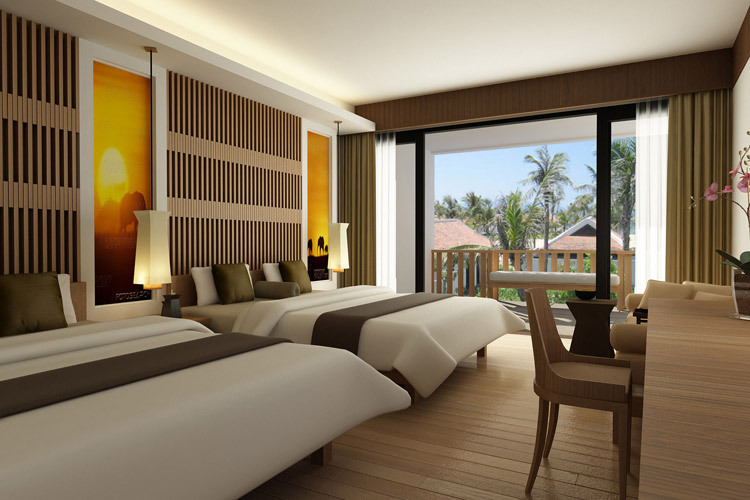 Perfectly located on the land of 17 rai next to the white sand beach in Pranburi, Prachuapkhirikhan, Kacha Pranburi Resort and Spa comprises 143 deluxe rooms and 10 private villas. 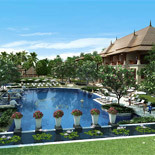 All are striking with contemporary Thai architecture expertly designed to draw attention to the topography of the site. 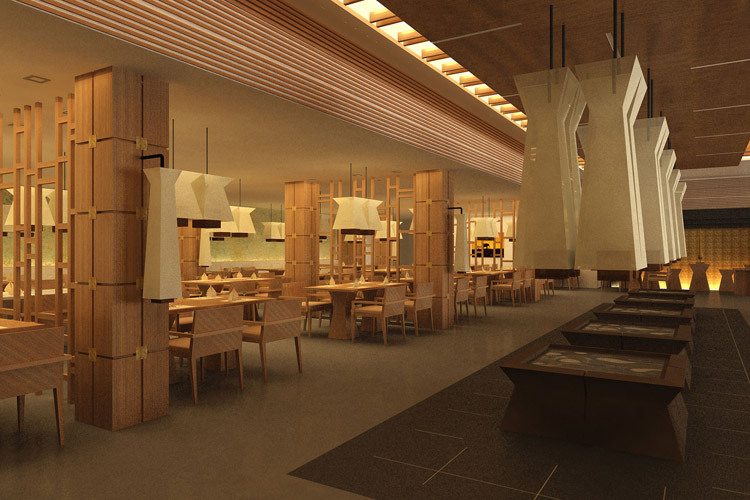 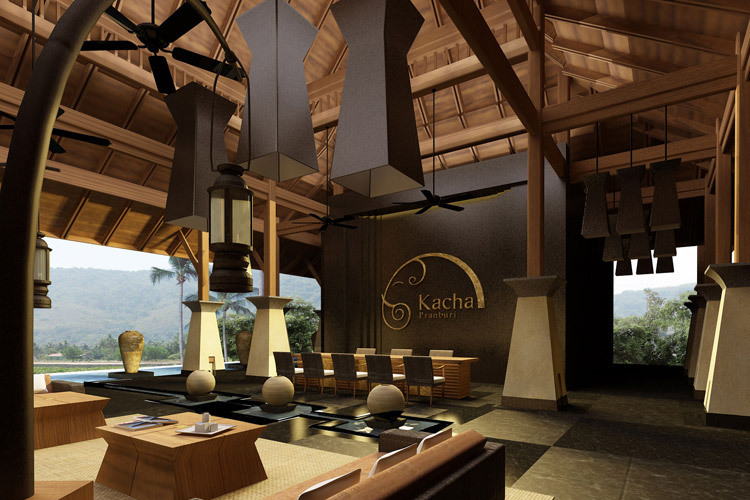 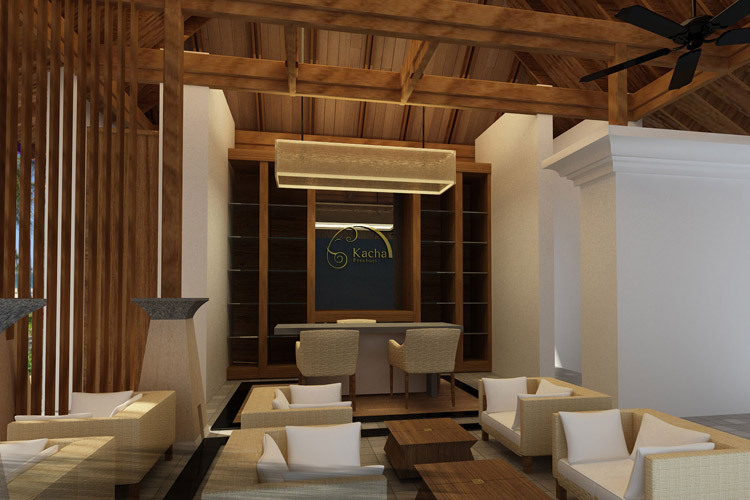 The design concept is inspired by the name of the resort ?Kacha? 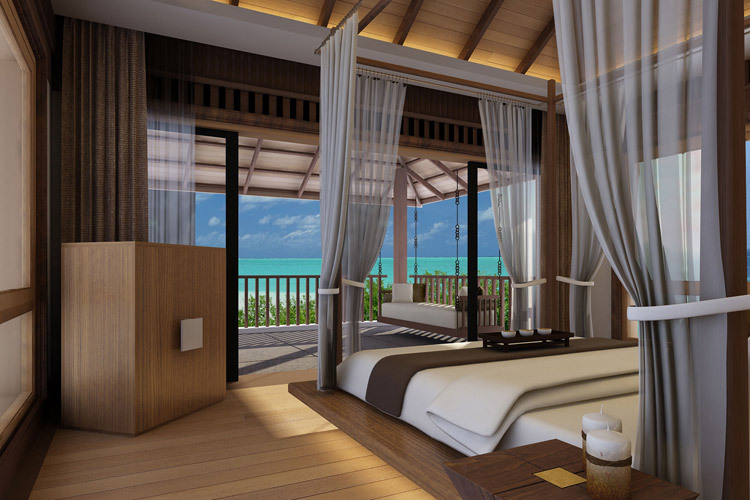 which means a great elephant. 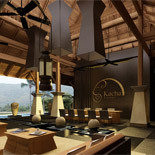 The design elements are influenced and adapted from the ancient architecture of elephant kraal. 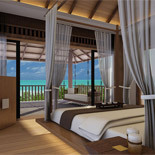 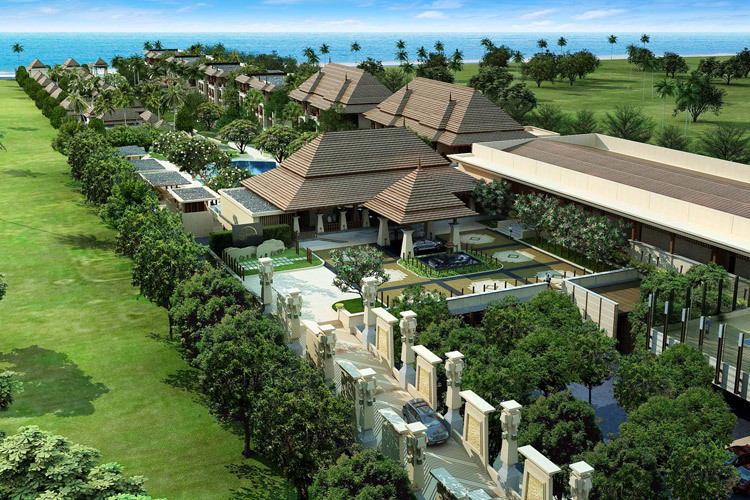 The major facilities such as a swimming pool, a Thai pavilion, and a tropical garden are designed as a project core embraced by all guestrooms and villas in order to provide pool and garden view for each guest room. 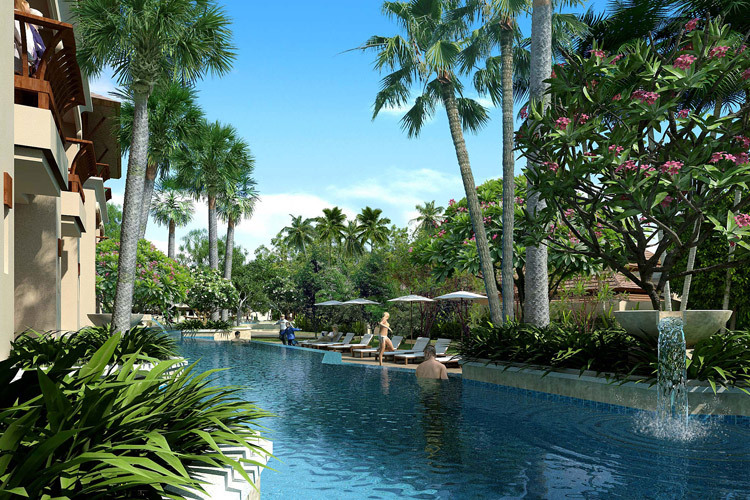 There is also a pool access provided from the ground level of each building to enhance the privacy and natural environment. 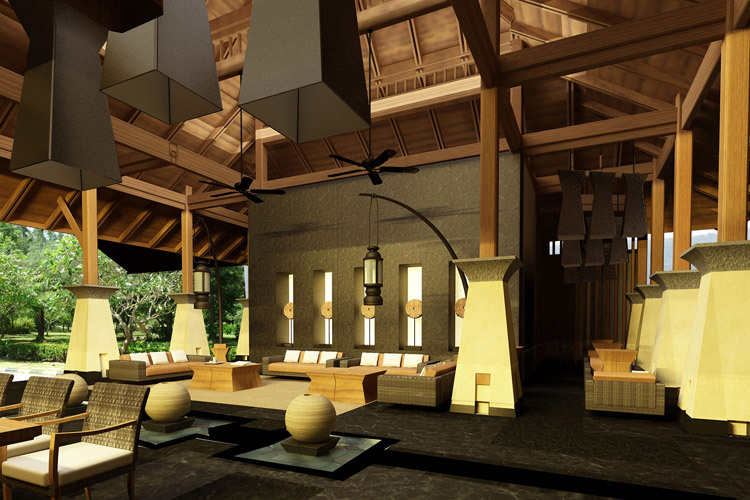 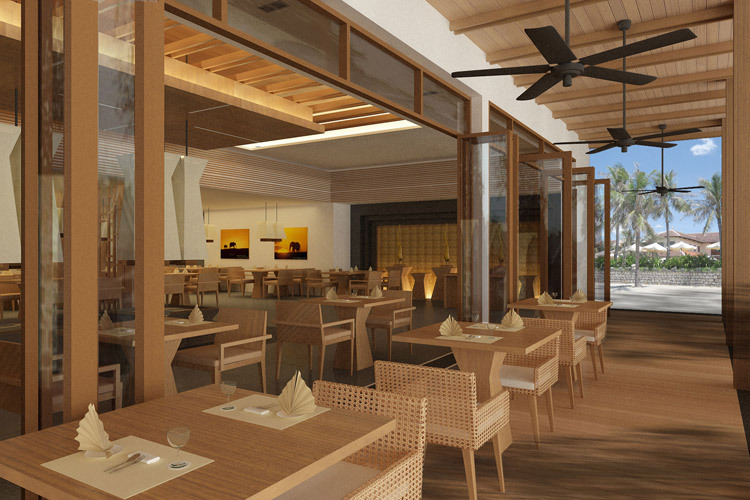 Additionally, the resort lobby is designed to be located on the second floor of the main building in order to stun all guests on the first step into the resort with the dramatic sea view. 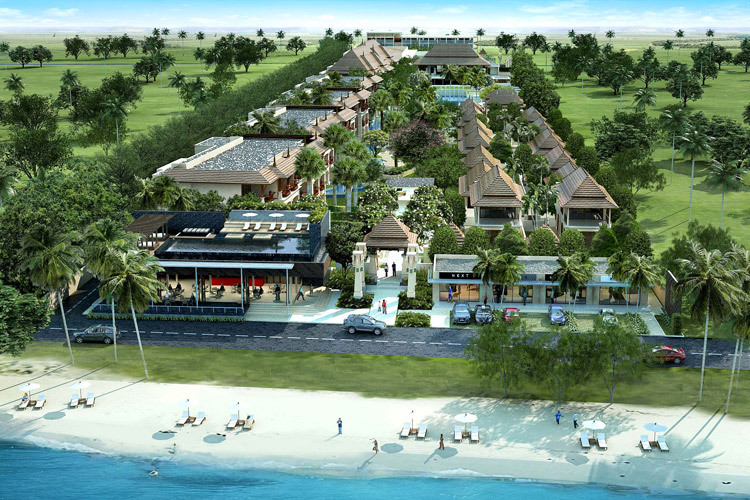 The oceanfront facilities sitting next to the white sand beach are designed as a retreat for the urban cosmopolitan. 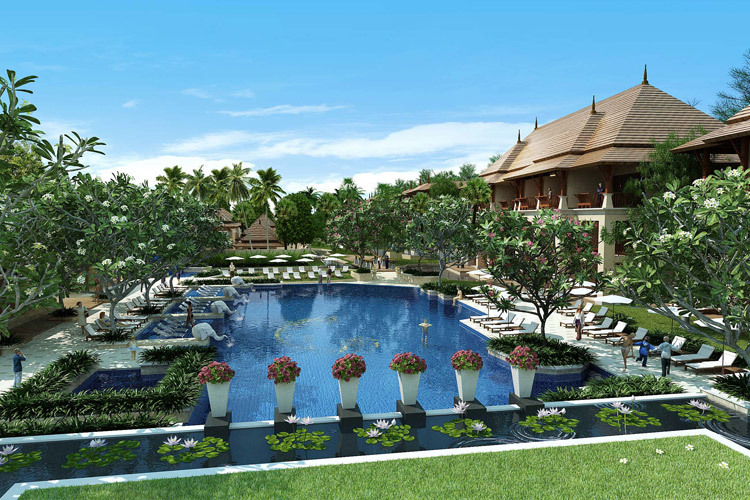 The swimming pool with a pool deck is sitting on the second level of the sea view restaurant, while the other facility is filled with world-class fashion shops.